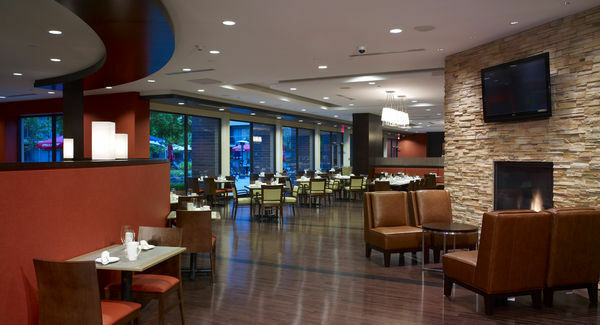 Upon entering the lobby, you'll undoubtedly be drawn to the atmosphere of Harold's Bistro & Bar, named after a customer who has dined with us daily for more than 35 years. Our menu will have you wondering if you're at home or on the road, and our wide selection of locals wines, beer on tap, and spirits from around the world guarantees to offer something for everyone. Connect with colleagues and friends in the bar. 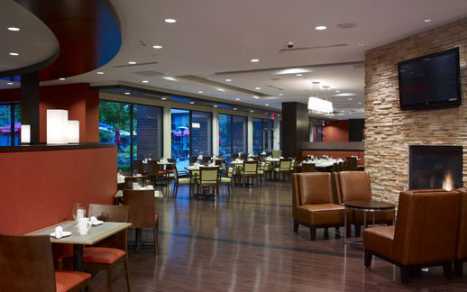 The lively atmosphere, number plasma-screen TVs and patio will supply the perfect ending to a productive day.